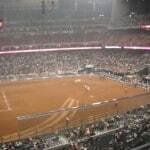 Home»All»One More Week to Visit the Houston Livestock Show & Rodeo – How long is the rodeo and what time does the concert start? Can you take kids to the concert? Can you take strollers into the stadium? 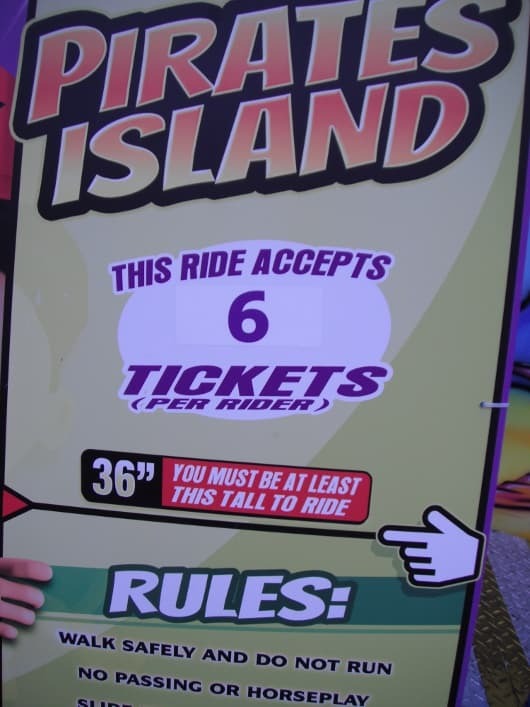 How many tickets are each ride? 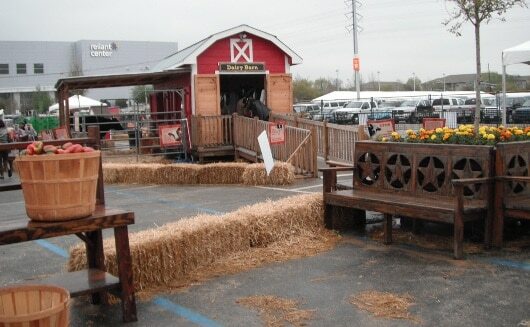 One More Week to Visit the Houston Livestock Show & Rodeo – How long is the rodeo and what time does the concert start? Can you take kids to the concert? Can you take strollers into the stadium? 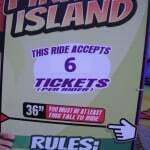 How many tickets are each ride? There is one more week of Rodeo! 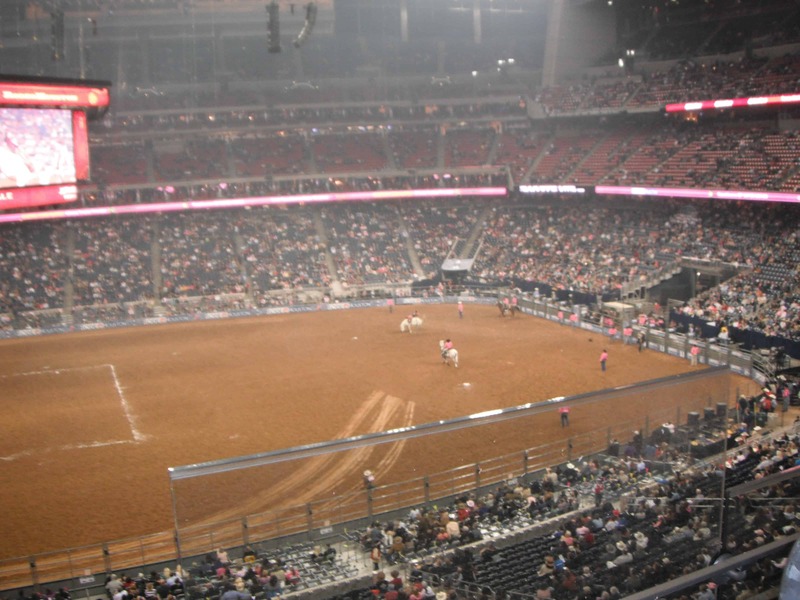 Take advantage of the kids being home for Spring Break, and make your way to Reliant (through March 18). There will certainly be crowds but it’s a big place and is big enough for everyone. 1. Take METRORail. For Spring Break, the city of Houston has added extra parking lots near the train stations. Check it out HERE. METRORail is only $1.25 and free for kids under 5. This is a lot cheaper than parking at Reliant, and, my favorite part is, it drops you off right at the front door of Reliant. If you park, you will pay a lot of money and then have a long walk or shuttle ride to the gates. 3. The rodeo takes a long time. It starts at 6:45 and Reba did not come on until almost 9:00. 4. The rodeo and concert are very loud. After 30 minutes, my big kids were ready to go see the livestock show. 5. The Verizon VIP tickets are probably worth the money. I usually buy the cheapest tickets available but last night a friend gave me tickets in the Verizon VIP area. The price said $36 each. The advantage is that outside of the stadium seating is a giant lounge with couches, food stands, bars and seats right next to the glass. The show was just too loud for baby, but we were able to sit outside the concert and watch it from behind the glass. 6. 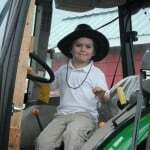 Kids under 3 get in to everything for free. 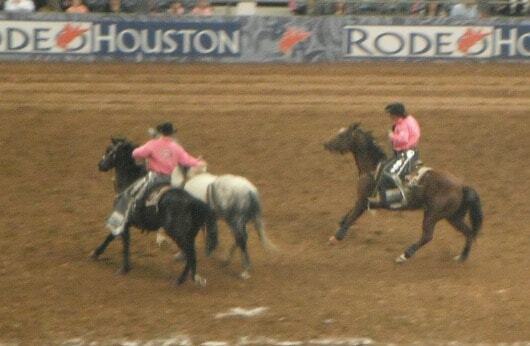 There is no charge for the Livestock Show, Carnival or Rodeo and Concert. This saves my family a lot of money (for now). 7. We found a few kid rides for 4 tickets, but most are 6. If you buy a book of tickets, it will go pretty fast. 8. 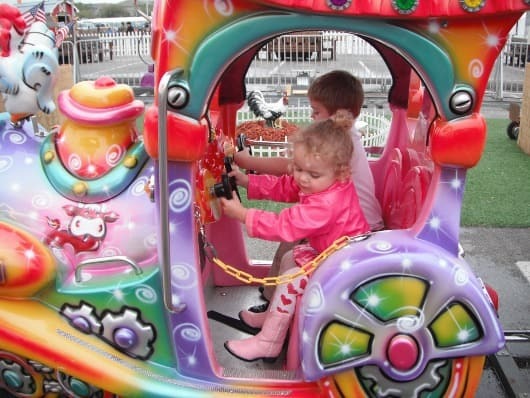 Most rides require the kids to be 36 inches. 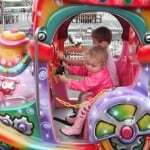 For many of them, they will let the parent ride with the smaller child. 9. Check out all the FREE things to do! 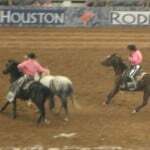 There is a lot to at the rodeo, and it does not cost anything (except general admission). 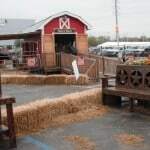 Kids can check out the animals in the Livestock Show and the great kids area. Outside the petting zoo is free (but there is a charge if you want to buy food for the animals). 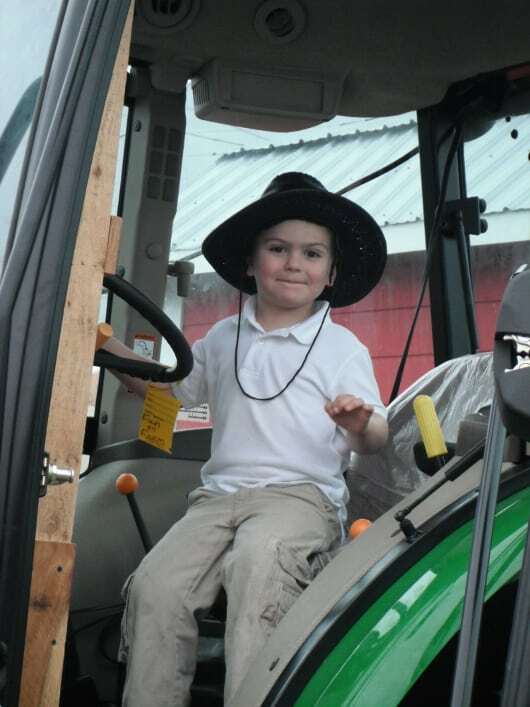 Fun on the Farm is also a great place. 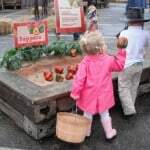 Here the kids “work” on the farm and feed the chickens and pick the vegetables, sell the food at the farmers market and then get to use their money to buy a treat (like a rice crispy treat). 10. Get your drinks from Borden inside the Livestock Show. My kids remembered this from last year, and it was their special request. I didn’t mind, because I think the Borden booth, in the kids part of the Livestock Show, has the cheapest drinks in the entire rodeo. For $2.00, you can get a big milk or sweet tea and money goes a scholarship fund. Looking for some fun? 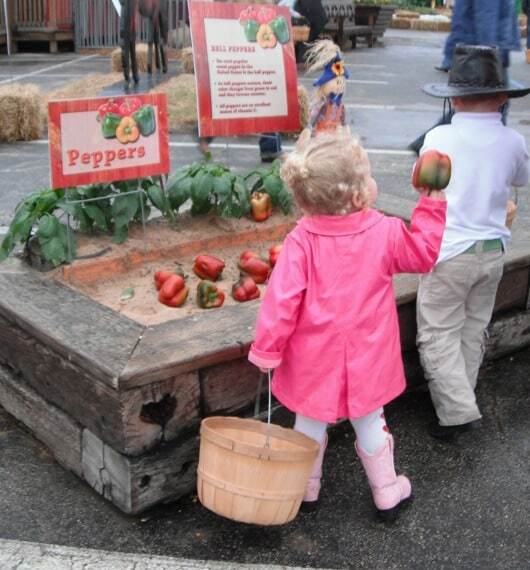 Here are some things to do with your kids in downtown Houston.